Pope says abortion evidence of "throwaway culture"
VATICAN CITY -- Pope Francis on Monday criticized abortion as evidence of a "throwaway culture" that wastes people as well as food, saying such a mentality is a threat to world peace. "We cannot be indifferent to those suffering from hunger, especially children, when we think of how much food is wasted every day in many parts of the world immersed in what I have often termed 'the throwaway culture,'" Francis said. "For example, it is frightful even to think that there are children, victims of abortion, who will never see the light of day," he said. 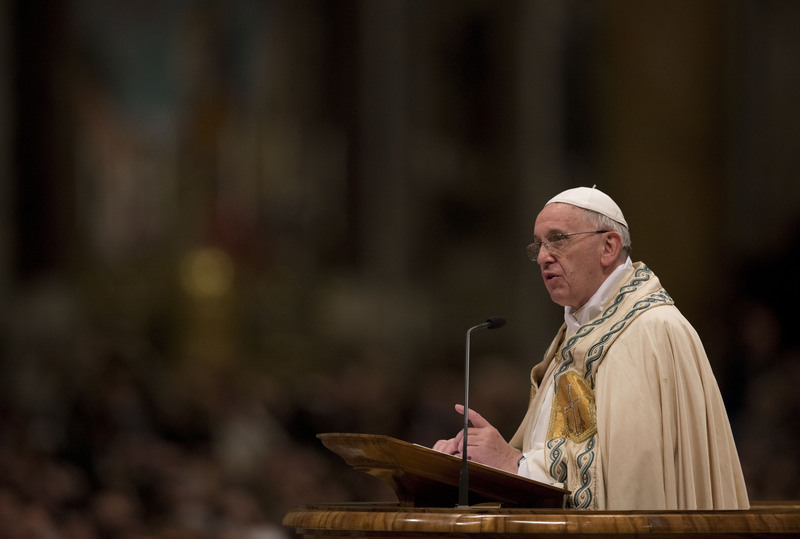 Francis has generally limited his exhortations about abortion, saying church teaching is well known and that he prefers to speak less about the church's moralizing rules and more about its positive, welcoming message. He urged Italians in particular to "renew their praiseworthy commitment of solidarity" toward migrants, an allusion to the current debate in Italy to revise its restrictive immigration policies. Each year, thousands attempt risky voyages across the Mediterranean in unseaworthy boats heading toward Italian shores, and hundreds die en route. Last year, Francis visited the island of Lampedusa, the destination of choice for smuggling operations where more than 360 people died in a single shipwreck on Oct. 3. "We must never cease to do good, even when it is difficult and demanding, and when we endure acts of intolerance if not genuine persecution," he said.